It's been about a week since one of the most known names in the fashion blogger industry broke down to tears in a video talking about the struggle of posting in social media and how she pretended to be happy when she actually wasn't feeling that way, in contrary to what she showed on her social profiles. And, you know what? I find it absolutely understandable, and I think by shouting it out loud, Aimee Song helped create a big awareness not only in mental health issues as depression (which, she confessed, was produced by being bullied when she was just a child) but also on how huge it is the way our lives are currently overexposed at the Internet. 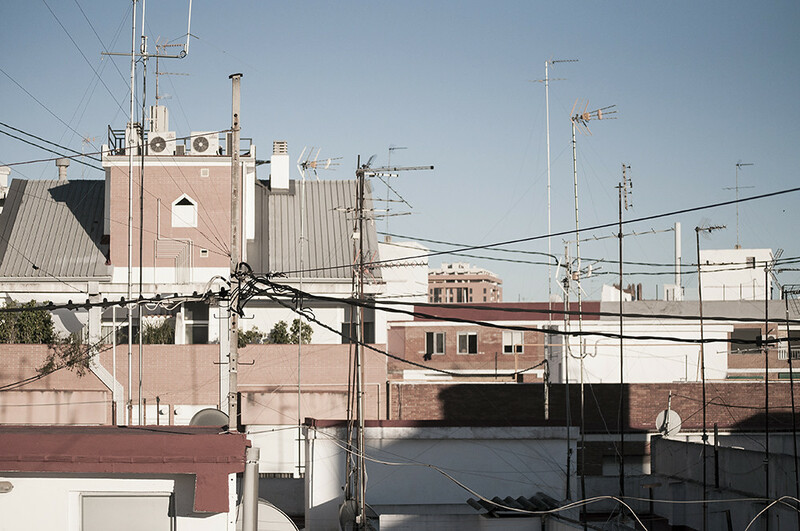 Then, after that event, I shot this pictures at our apartment's building terrace where I got to experiment and try different things for a while. Perks of having a remote control and an unhabited terrace on a 12th floor. Things as wearing a, what I personally think is a super, super showy crop top, which I feel super comfortable and confident on, but it's not the kind of thing I would wear on a daily basis without being a bit hesitant. Or smiling at the camera, which you know I rarely do (it just looks pretty forced 99% of the time. I don't know how to smile properly if there's a camera pointing at me, sincerely). And then I thought of the things I've heard while fashion blogging here, at Something Fashion and all the criticism I had to endure not only while posting online tiny pieces of my daily life, but also when I was younger and started showing my not-so-usual taste in style. Why would I wear red lipstick if it made me look 10 years older. That I needed a pedicure. That I was fat (come on guys, seriously?!). That I was a narcissist and used to look with superiority to every single person on Earth. And suddenly, I realized that I was receiving such critics and attacks because although it was just a little bit, I was posting me on the Internet and that made me an easy target. But it was OK at that time and didn't harm me at all. And it still is! Through the years, I've come to love and know myself at such level that my self-esteem can't be even approached if it's not for positive, constructive critics. I've come to understand that, exposing what I do, what I look like and a little piece of who I am online has some cons, but that they're way less than the pros. So. What have I learnt in all these years of fashion blogging and exposing a bit of my life online? That I don't have to share anything if I don't feel to, which doesn't mean being fake: means being human, and having the power to share and tell whatever your mood says. Fashion blogging has showed me that there's a huge world behind the camera, and that what's in front is just a little snippet of what's real. I've also learnt to be careful of what I post on my social networks. And, last but not least, to embrace and love myself no matter what others may say. I was surfing the Internet the other day when I suddenly came across the MET Museum online publications' page, which immediately turned me into the happiest girl alive. All the fashion, art and design books and publications you could imagine, from one of the most important museums in the world, just at one click? Sign me in! Then, doing some of my particular research, and in addition of finding some of the most precious and beautiful haute couture and vintage books to download, I found out a catalogue about and exhibition held at the museum not very long ago, about the african textile tradition and their designs (The Essential Art of African Textiles: Design Without End. LaGamma, Alisa, and Christine Giuntini). That made me think about the previous Textile Heritage post I wrote about a pair of months ago, and I thought it could be a great idea to use the catalogue as a main resource and support to write another post about the topic! The production of textiles is a vital creative activity and serves a great demand across West Africa. Textiles also serve as an artistic way to draw attention to innovation in this field on this country. 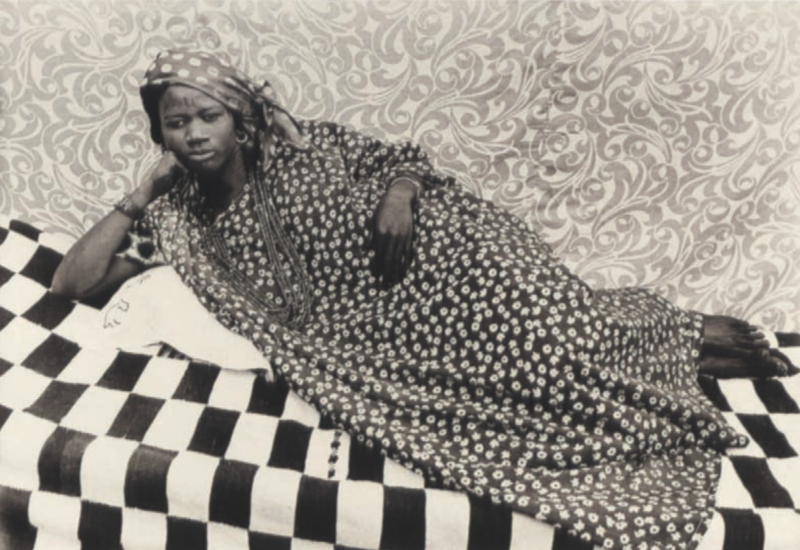 The African textile tradition weren’t oblivious to merchants and new metropolitan companies starting at seventeenth century, continually shifting fashion trends, specially with Europe. 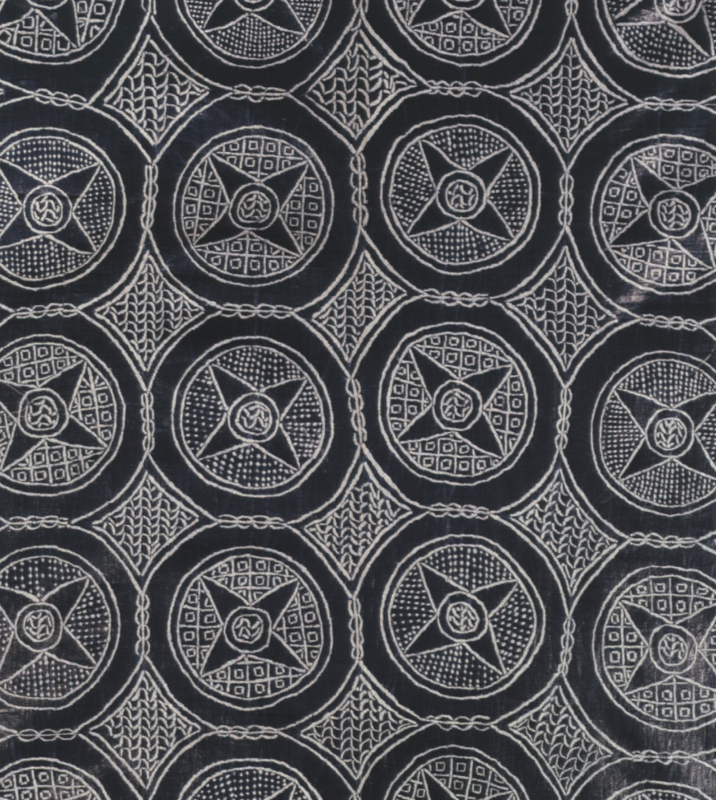 During these years, woven and printed cotton from India were some of the most demanded fabrics by West Africans. Apart from the most known colorful and geometric waxed african fabrics, there's also a huge tradition in hand-wovens and printed wovens and cotton cloths. It's also important to know that some of these textiles have a great importance in ceremonies and different religious rituals, such as Nupe and Hause robes of honor, among others. Portrait of anonymous woman or "Olympia"
Right aside our townhouse at the beach, there's a pedestrian street which is ah-mazing to install my tripod and camera everytime I come back from work in early evening, when the sun is going down and light is great to take a few shots of my daily outfit. The townhouse where I've spent most of my Summer seasons is your typical Spanish town house, with a patio, and a terrace, and impossible staircases covered in handpainted tiles. It belonged to my grandpa, and before him, to his grandparents. We live on a neighbourhood downtown where we all know each other, and neighbours have seen me grow up as I have seen their children. I was setting my DSLR, the tripod, the remote and all the stuff when I saw my neighbour's girls walking their fluffy dog. They live in the house right in front of us, and they are the cutest children to which I'd given my toys once I became a grown up, or even taught some maths support lessons. They looked at me with curiosity while I was putting everything into place in the middle of the street, and I started asking them about school and how their grades went at the end of the semester. After a while, I waved goodbye as they looked as they were coming back home and, after just taking one or two pictures (blurry and out of frame, of course. It's still a bit tricky to figure out the whole tripod-auto-photo-blogging thing) they asked if they could join me with the pictures and help me, which of course I agreed to. I then explained briefly what I was doing, how I focused with the remote control and how to pose (well. Sort of) and they just didn't stop asking me questions and helped me to fit into the camera screen. It was very fun, and I think the pictures also ended up looking pretty good! That event made me think about when I was 9 to 12 years old, and what were my expectations of myself, my role models and who I truly wanted to become. Now that I think about it, I'm not exactly what I expected or who I wanted to be (I just took another path), but, if I would come back about 12 years, I think the past Amanda would be glad of who she's become and what dreams she's pursuing. Until now, I didn't realize I have achieved a lot (I'm a young woman almost finishing a technical career where women graduates' rate is still low; I've been writing and taking the entrepreneurship path in a complete foreign language since I was 16 year old; I've already published papers in a couple of conferences, won several architecture prizes... And still hanged out with friends!) and that maybe, I'm trying very hard to be that woman role model I missed have when I was a child. Because, we're constantly told that we can become whatever we want to; that we have to work hard to achieve our dreams but... Where are the examples of absolutely regular people chasing their goals? Where are the stories about women breaking their glass ceilings and overcoming every difficulty in our very own quotidian environments and close to us in time? I think about the role models I didn't have as a child, and whose history and achievements I hadn't heard of until very recently: Marie Curie, Frida Kahlo, Lina Bo Bardi, Katharine Hepburn. And then, I think about the girls with their fluffy dog wanting to become a vet and a physio doctor, and I can't help but wonder if they have any role model to look up to, and if any day in the future I could be close to being one myself with the little but steady steps I'm already making. That said, what or who did you wanted to be when you were younger? Did you exceed your expectations? What would your younger self think of you if you were a child? When I entered Architecture at the Polytechnic University of Valencia back in 2012, my vision of architects and designers was pretty limited. Back then, the vision of the architect as a demigod capable of all things was still extended, surrounded by nothing but confusion, ego and sort of a mystical curtain that covered everything related to the job. Today, I can say I've got to discover that architecture and professions between the creative and the technical fields have no greater mystery than any other. At the end of the day, we develop our tasks as any other would do: we draw and sketch, both at the computer or freehand; we build scale models (which usually means getting dirty with huge amounts of glue and sticky cardboard), we have our rush moments when finishing anything (specially when printing) and we can handle both paperwork or on-site work. It's not that complicated, and not as surrounded of mysticism as some still wants us to stick to. And that, as always on this blog, includes the fashion side of the matter! Whilst on a first sight it looks like we architects and architecture students only wear black and dull outfits, we actually don't! Truth is that we are expected to look neat and classy most of the times (to meet our clients; to attend meetings, conventions and lectures; to get prizes if we're lucky enough to win any *wink*) but no further than what is expected of anyone in a regular work environment. Through the years at the Architecture School I've experienced first hand the architect's basic dress code, and, sorry to disappoint you and break all your expectations but, only the 5% of architecture students wear the so-known head to toe black outfit. Then, there's this humble servant of you who is keen on scandalizing the whole institution wearing colorful floral dresses, leopard print and the boldest of pink shades on a daily basis. Specially in Summer, when you are not supposed to wear strappy or very showy tops or blouses to the workplace, but still, you are dying because it's 40ºC outside. Instead, wear loose shirts with light asymmetric skirts, play with draped patterns, loose sleeves and high waists with crop tops. This way you'll differentiate yourself from others at the workplace and also and most important, stay comfortable and professional. Avoid high heels and flip flops if possible too. Our feet tend to get bigger in Summer, so wearing tight shoes will cause you not only a feet slaughter once you get home (believe me: I'm the #1 specialist at that), but also, may even cause you walk weirdly as a result of discomfort. Instead, try wedges, strappy sandals or trainers made out of light fabrics, as Chucks, Vans or Victoria's just to name a few! It's no secret that I like to wear makeup. Like, a LOT. It makes me feel more confident, and putting red lipstick at the beginning of my workday is like an energy boost worth ten coffee cups. But make up gets cakey at the end of the day, especially in humid, Summer Spanish days. As I don't like to step out of home without any makeup at all covering my blemishes and acne marks, when for workdays, I like to put on some face primer before everything else, and cut down the quantity of makeup foundation to the lowest possible. Using waterproof eyeliners and mascara (I just use the first) may help too. Don't wear your clothes wrinkled! This skirt is super comfortable, light, flowy and amazing but it's made of a fabric which no matter how hard you iron it, tends to get wrinkled at the blink of an eye. It looks the worst! Picking Italy as a destination for my last year studying the degree in Architecture was a result of many aspects. First of all, because it's one of the richest European countries talking about art and architecture of course. There's something truly mesmerizing about getting lost in the streets of any Italian city. 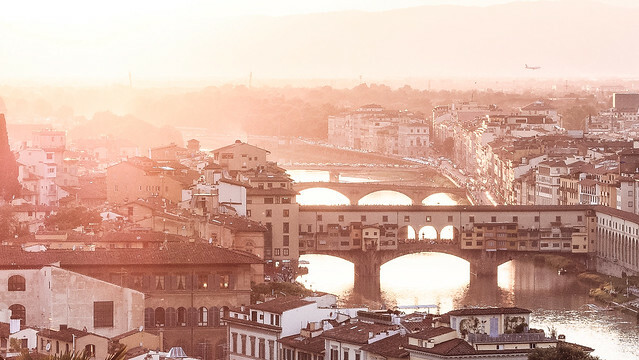 On the other hand, and as I said in previous posts, picking Firenze as my home for the Erasmus year to come was a decision made out taking into account fencing trainings, academic programmes, the cost of life at the city and, as an added element, fashion of course! Il mio italiano è ancora un po maldestro, ma spero di migliorare prima di arrivare a la città! That said, I feel very lucky about having the chance of experiencing the Italian fashion scene first-hand. Italians not only live and breathe fashion. THEY ARE fashion itself! You just have to take a brief look at their streetstyle, their vast textile heritage and tradition, the whole Italian culture around design and their love for things done the best way possible, ever looking at the minimum detail. So, on my way to live my Erasmus year in Firenze to its fullest and experience first-hand all the aspects of Italian culture, attending to a fashion show or related event there seemed like the logical next step to take. After some research on the Italian fashion agenda, I found out an event I know I won’t miss even if it’s standing downtown watching people come and go on their fabulous outfits while eating a gelatto. 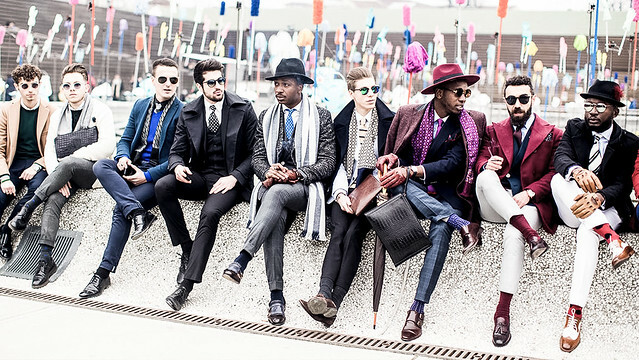 It is the Pitti Immagine Uomo, which takes place at the Fortezza de Basso, coming 9th to 12th January 2018. 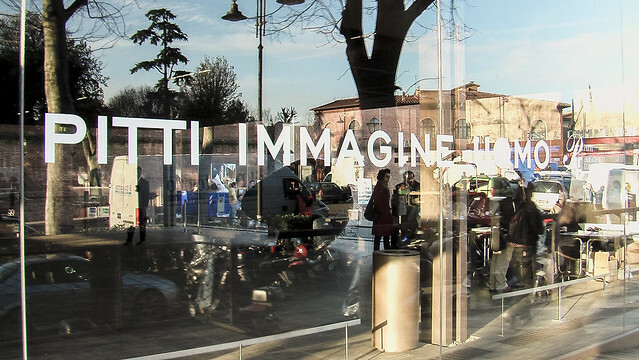 Firenze Pitti Immagine isn’t just another fashion catwalk or event. It is THE fashion event when it comes to menswear. I must admit menswear has never caught my eye, and I’ve never been very into it but, after watching some shows while doing my previous and always accurate (I hope) research for this post, I found it’s quite interesting how menswear develops compared to womenswear collections. There’s that feel of slow-paced, timelessly cadence that lacks in almost every show of womenswear, where everything goes faster and faster every season. At the Pitti Uomo streaming shows I’ve had the chance to watch I’ve noticed that even with the most disruptive fashion designer, every single piece could be worn over, and over, and over again for decades. There’s something behind the patterns of those velvet blazers; fine lines between the seams of colourful suit pants and an expert hand crafting those laced leather shoes which are just mesmerizing. And I think that’s the magic and the real value on all Italian brands: to be the epitome of timeless while lasting for years. Isn’t that, after all, the reason behind all the magnificent buildings of the city of Firenze? If I expect anything from Pitti Immagine Uomo is to ultimately leave a lasting, amazing impression which I can bring back to Valencia, which I’m sure it will. My second Summer as an intern on an architecture studio is about to start. As internships are not compulsory in our architecture school, I couldn't be more grateful and conscious of how fortunate I am right now. An internship in architecture usually means helping the principal architect in any planning, drawing and scheduling task around. It depends on the studio, but most of the time you're sitting on a desk helping with paperwork, drawing plans or help printing huge floor elevations and construction details which will be sent to councils and the required institutions to be signed and checked. I don't really know about this year's workflow but, last Summer I didn't actually stepped any work under construction nor my friends who have been on other medium-sized studios have. But, it's OK, as an architect's work is much more than just building things. That said, and knowing that the closest I will be to gesso, wood and any kind of tools will be presumably while building some models at the studio, I needed to get prepared some outfit sets for work which were comfortable and suitable for a mostly office job, but also that defined my style and personality. As I always say, fashion helps us to express ourselves and say without words who we truly are. 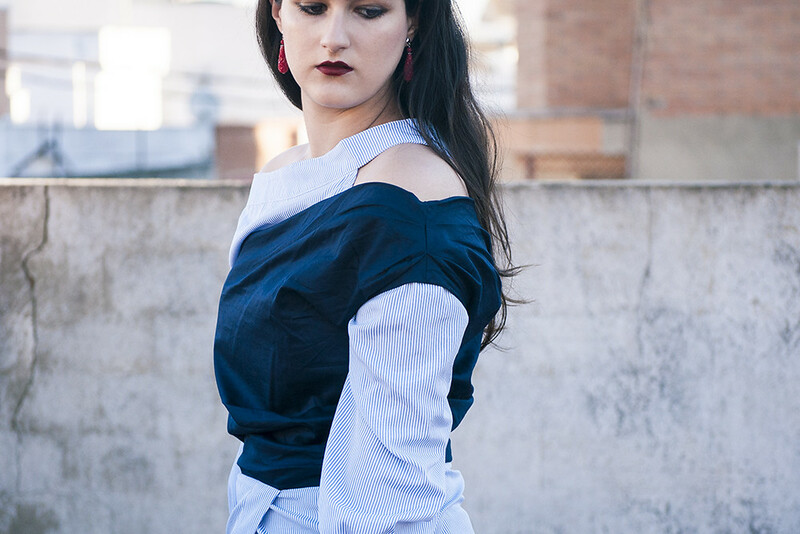 That's why I thought, a striped blue classy shirt with a twist could define quite well what kind of woman I am: mature, hardworking and resolutive; but also fun, feminine and cheerful. As I will be moving to the beach town this Summer and will be living there for work purposes and closeness to the studio, I needed to pack a bunch of versatile outfits (my favorite!) which allowed me going for dinner and have some drinks after job hours without putting a feet at home until nighttime. 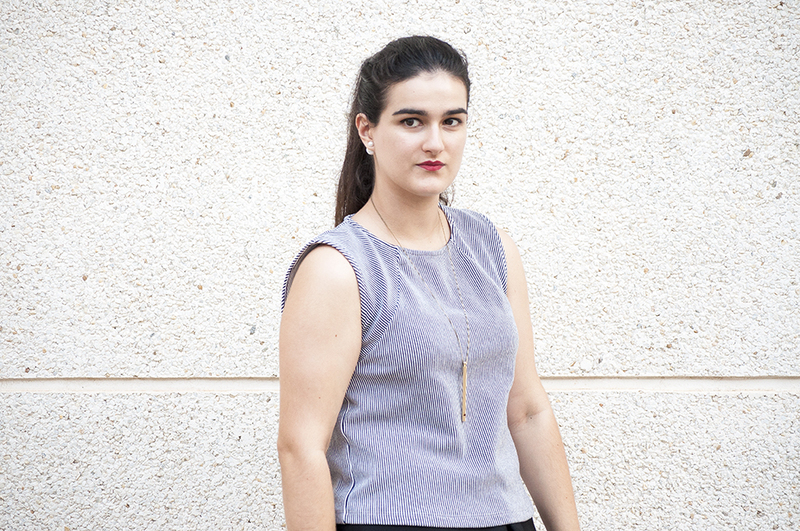 So, here is my little contribution of advice on how to properly turn your workday outfit into a night outfit with ease! Neutrals are your best friends. When going to work I like to take the best out of my neutral pieces. Light pink, white, ivory and black of course are great colors which either work nicely at day or night. Bright colors are also great, but less likely to be paired successfully when going from one place to another. Always accessorize. Be it minimal or a little bit more sparkly (don't overdo it, though!) accessories are the greatest for an outfit to turn from day to night. 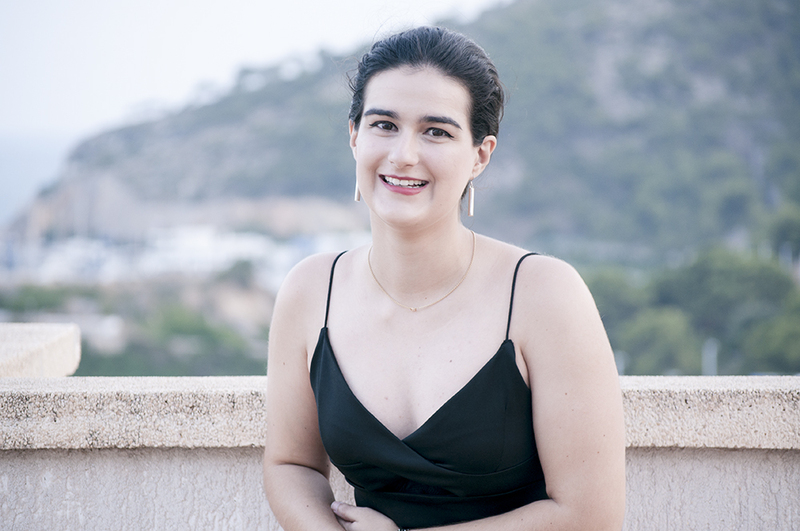 As in the pictures of this post, I used my red stone earrings as statement and unexpected piece to spice the whole look. 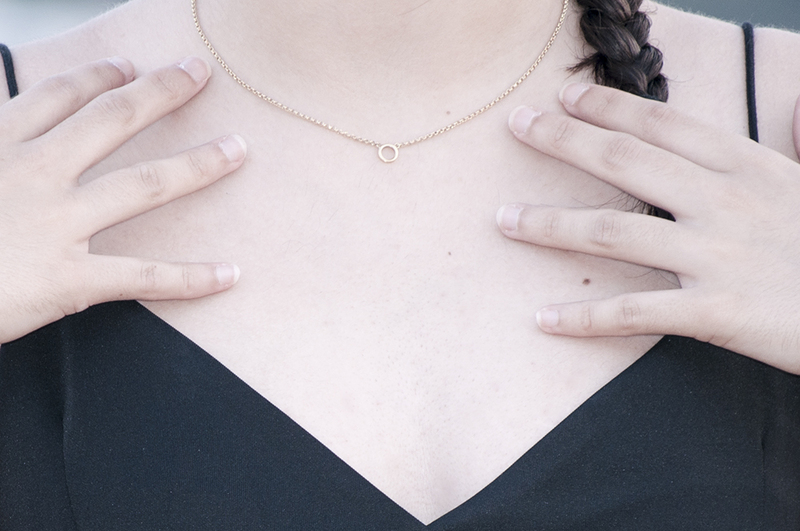 I also like to wear a pair of overlapping minimal necklaces which look great with any kind of LBD or cute top. Black & white. Absolute basics! These are my favorite to change from day to night anytime. 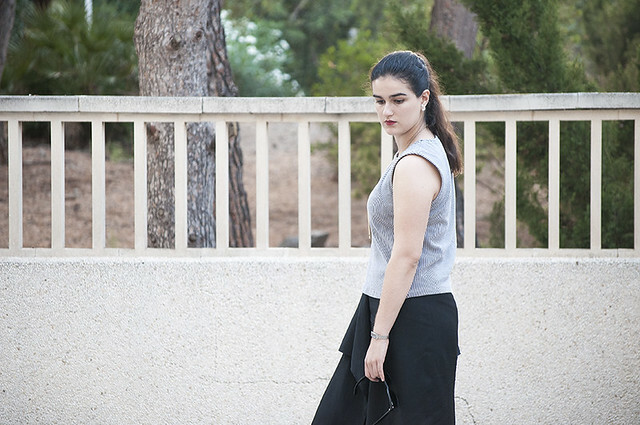 A plain white T-shirt + skirt or pants in any sort of shape is the most versatile outfit ever. Swap the black for denim if you're looking for that casual touch. Accessorize or play a little bit with makeup and shoes. TOTAL WIN! When in doubt, pick metallics. A light, shiny satin strap blouse works wonders in both situations, and when in doubt if you find it too showy, you can always wear it in top of a plain T-shirt to highlight it. Also, metallic strap sandals and flats are a nice way to make your outfit stand out of the crowd. Don't underestimate the power of jumpsuits. Jumpsuits are fun and very comfy. They let you move freely either at work or in case you end up partying at night (hey, life happens. Long live youth; either physically or at soul!). 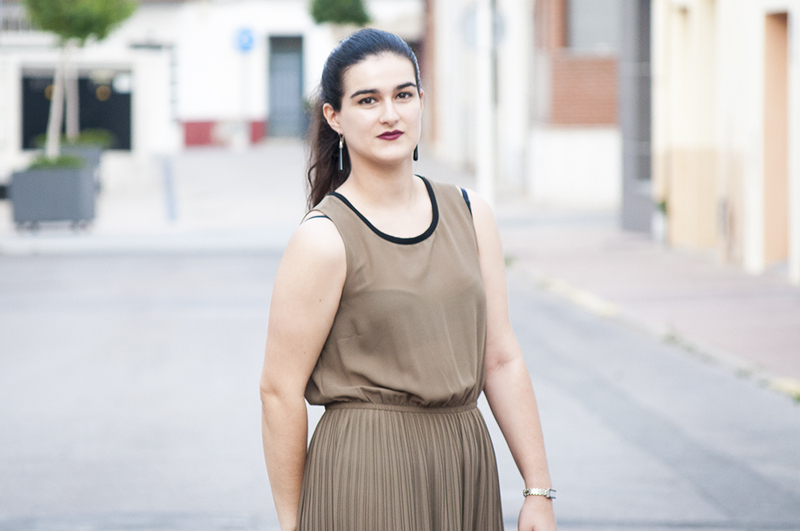 Jumpsuits are also able to be paired with jackets, high heels or flats, backpacks or little pouches. They always look great whatever you pair them up with! 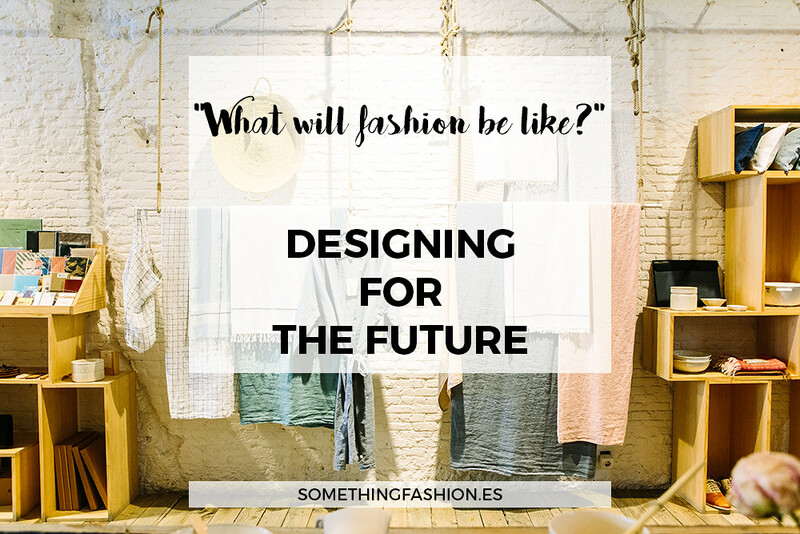 Designing for the future - What will fashion be like? What fashion will be like in, let's say ten years? And how will it be shaped in the coming century? Since I finished this uni year, I've been reading and doing research on different fields. Like, A LOT. Investigation is one of my favorite tasks to do and writing about fashion is just a little hint of a whole, let's name "hobby" I just can't keep on during the academic year (but which I hope I can focus once I finish the Architecture degree). Talking about reading, this past week I've been indulging with a book written by professor Alberto Campo Baeza which name is "I want to be an architect". On this book (which is super light and nice to read) he discusses why we should be concerned about design and why it is important to keep working with correction and rigurosity in any field we decide to partake. I always have tried to apply that discipline and habits of mine when it comes to architecture to anything related to blogging and specially, blogging about fashion. That includes a lot of thinking over what is yet to come to fashion affairs. If anything, I think there are three key elements that define the matter and which couldn't work if there's only one of them missing; which are materials, workflow and the final step and receiver talking about fashion retail: the consumer. To start, there's a lot to say in terms of fashion materials for the future. Synthetic, eco-fibers and sustainable materials will lead the way and promote new ways of designing fashion without damaging the planet. Fashion will be produced in a way that will be close to zero waste and the source materials used will be so technologically advanced as to increase the oxygen available in the air, or either turn into any kind of plants when we can't use that piece in our wardrobe any longer.